This is Tuesday evening's scene. Do you know, I had to leave it till 8.30 to take the picture to avoid shooting into the sun. Yep, in amongst that 'now-I think-I'm-a-photographer' speak I did say sun. Tuesday was just lovely. And today gentle WOYWWers, promises to be the same. Oh! To be in England now that summer's here. Even if for only a day more, it really is a lovely place in the sunshine! Anyhoo, I'm putting off the inevitable really. Returning to type, my desk I think, betrays my complete inability to make up my mind and finish something. I'm meant to be preparing samples for a 'Men's Cards' Workshop. I know what I need/want to use in terms of product, I know what sort of techniques will suit the workshop, and I can't yet get a grip on the finish...so far, none of the cards on the desk match the idea in the head. The head, it appears, is the more wooden of the two at this stage. You will hear more about this, I fear. Or you fear. So put me out of my misery and show us your successful work surface this week...we wanna see what you're doing and what you've got. Naturally. 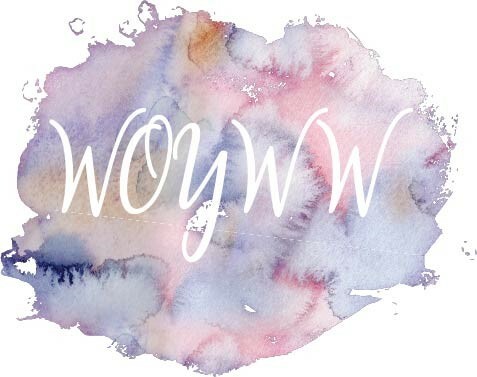 Please include WOYWW in your blog post title. Link it here and we'll visit. There were only 2 last week that I simply couldnt leave a comment on; one because it was too promotional (I noticed that only one WOYWWer had commented on it by the time I got there on Sunday) and the other was number 142, Ashton Elaine....the link was wrong/damaged and no amount of searching got me there, so am really sorry if you were disappointed by lack of comments! Meanwhile, link here, go ahead, make your day. Lots of goodies on your desk as usual. Your upcoming workshop sounds like fun! You will be in for a shock when you visit as you actually get to see some DESK today! I'm back in the Paper Palace this week - though it's not what you think! Blimey I am the first to comment! Its not like me is it! Although I am not at all myself at the moment, so maybe its appropriate! I see the usual creativity going on on your desk & inspiring stuff! Like the diddy little alpha stamps, must make more use of mine! Have a good week Julia! Yes, I'm with you. If the link is too hard-sell I pass on by. Thing have been a lot better lately with Blogger but this new thing of it filling in my google id means I have to be on my toes lest I just click without thinking. I think I may have an old, never used blog there somewhere. You're right, it does make my day!!! I love it here and want to stay please. I love your overhead shot... very arty, and yes, the sun was lovely today while it lasted. I went outside to mow my grass after you didn't post at midnight your time. What a shock when I came back in and found you had already posted. I got too anxious to be doing something constructive, I guess (grin). well it may not be a successful desk but at least it's seeing some action, unlike mine that is sadly neglected. Can't believe I got in so early this week! Yes, its been nice to see some sun, lets hope it lasts a while. Hope you get your men's cards sorted out - I always find them tricky - no lace, no glitter, no bows, no flowers, no bling - sure what else can you put on them!? SUN what is that! This has been the coldest June on record here. It has rained most of the month so hopefully summer will change that. Good look with your workshop and thanks for allowing us a look at your workspace. Happy WOYWW Julia!!! Sorry your cards aren't matching up with your vision...I just hate it when that happens!! It looks like you're having lots of crafty fun on your desk this week though. Hope your creating gets easier! The sun was a shock, wasn't it? I feel bad because I do have a productive desk this week. I'll do my best to send creative/productive vibes your way. We had sun today too, and at last my runner beans are in...(In HUGE pots) before they strangled each other! Mind you we were holding on to the arwning on Sunday in all that rain....it nearly blew away. Desk looks very productive to me! and mine is a bit tidy...but you can't see it. Hi there Julia - am so glad you are getting some of that sunshine too and hope you get lots more as well as know from when I was there how much it is needed - sure did not see much of it! As my desk shows I ma suffering from the same amount of indecision, and also showed some of our lovely weather here too..
Well Julia, I think the Men's cards will be just fine..looks like clock work to me. a wooden head, or a wooden heart just can't function up to par. Good Luck you'll feel wonderful when the plan comes together. Enjoy WOYWW and have a wonderful week ahead. Sun you say...hmm...don't mention it otherwise you might frighten it away. I've been hearing how wet your June has been... maybe the tanks empty now and you'll be all summery until September? Your desk always looks so interesting and creative...you just never know what you'll see next. Good luck with the cards ~ enjoy! Oops...see in so much of a rush forgot to include my number. I had a good close look at your desk as something caught my eye. Under the pile of cards towards the back, which have the gorgeous fob watch, it looks like something says "Will show knickers"!!!! I am intrigued by this, are they yours or is it for "mens cards"??? I conjures up all sorts of things in my little mind. I'm so glad you have the sun out at last, I've felt your sort of temps lately and I feel your pain. Hope the sun stays out for you, it's shining bright here. So glad to hear your summer has arrived...send some sunshine over here to Vancouver, Canada please...we would like some of that sunshine too!!! Glad to be back playing with all of you. I'm sure your mojo has kicked in since you posted and you are acing those projects for the class. So happy you have sunshine. I get all down when the sun doesn't shine. Guess that's why we live in the "Sunshine State"! Lovely busy desk as usual, Julia!! OMG Julia you do such an amazing job to get around and comment on everyone's post. I wish I could say I put in the same amount of effort. Loving the sunshine here in Sydney today but, I won't brag last week it rained and was very bleak. Love the pocketwatch stamp. Love the desk, with your arty overhead shot - good luck sorting the workshop! The sun yesterday was gorgeous indeed... sad they're not forecasting it to last after today! Woke at midnight - checked - no post, back to sleep - woke at 4.30 (think it was the birds outside) -here you are with 30 odd already listed!! have a great day, Julia! Yeah! I managed to get my post in early...USA time is 9 pm on Tuesday! Looking forward to spending more time spying on workdesks. Wow! You got to all but 2 people last week?? You're a hard working gal! I'm having trouble leaving comments on Wordpress blogs. 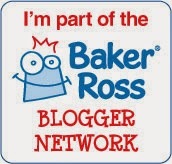 I hope to get to more blogs this week. Have a great WOYWW! Hi Julia Its hard when its all so clear in your head but it won't come together on the project !! Have a wonderful week, Julia! I hope your wooden head comes to life for you soon! Hi Julia! How wonderful to have beautiful sunny days! Here in the Philippines we've hit rainy weather and the first day of school got cancelled! how nice for you to have some sun! the clock stamp is a great one for some men's cards steampunk style. happy WOYWW! Oh Julia, maybe you will dream the perfect design for your Man card tonight...sometimes I get inspiration out of desperation LOL! I saved an ATC for you if you send me your address I will send it to you! Glorious sunny blue skies here on the South Coast...yaaay! I doubt your head is wooden more the subject matter - ie men - that caused the block. We have sun as I type too. A very rare commodity and not generally known to me at this time of day. One week I intend to succeed in making it round the whole list. Wow! I can't believe you managed to get around all but two! Every week I tell myself I'll do the lot, but every week my troublesome baby demands more and more of my time.. Haha! My photos taken last night were without the aid of artificial light, funnily enough. And in that particular room, that's unheard of! I'm sure inspiration will hit you soon enough. Did your ATC arrive, by the way? I didn't wait for the sun to go down, as the mess would not have been made any better by it, except by perhaps, complete darkness! Still sunny here this morning! Yah! Hi Julia from a sunny Lancashire, and it's not often I have been able to say that this month - makes such a difference. I like that clock stamp, should make some good male cards with that one. Well done on getting round everyone last week, what a star. Ooh, Mens Cards workshop....that's a hard one (WHY are men so difficult!!). It seems Mr Linky is working this week....sorry but I commented last week and added my deets but didnt realise I had to come back once linky was working and re add my deets so I was missed too! Fingers crossed it all works this week. Good morning Julia, from sunny Rossendale Valley in Lancashire. I've had a good look round your desk and like the clock stamp, think I can feel a purchase coming on. I've stopped struggling with being late doing things as I know I'm always on the last minute (even with our companies vat) so I just accept that's how I am and it seems to work for me. What a trooper you are getting round people's desks. Thank you from me and the Doodly Birds for popping in to see us. Oh how lovely to see the sun. What a difference it makes but of course when I'd got the double buggy out yesterday to take the munchkins for a walk in it the sky started to drop rain on us here! Typical eh? Hi Julia! I am so glad that I joined the WOYWW this week :) At least now I know I am not the only one suffering from the lack of sun here. Being your neighbour (I mean living in Ireland)I heard a joke here about summer. -did you have summer this year? Yes! More sunshine, even as I type! I think it's due to disappear again tomorrow - my day off, lol. Don’t know the late evening sun Julia, it’s the longest day tomorrow and the days start getting shorter…….dark at 5pm in no time! It’s brave of you to do a class with Men’s cards, they are so difficult but I love the colours that you’re using. I've been AWOL for a while - things going on to keep me occupied away from crafting and blogging. I'm hoping to get started again soon, and have tried to make a restart byupdating and renaming my blog (the name as suggested by one of my WOYWW visitors). No photo yet this week, but hopefully next Wednesday. Long week of weirdness for me. You're my port in the storm. There are some very eager eyed bloggers our there as I didn't see the 'will show knickers' thingie! Glorious weather, planning to sit out in the back garden with a cup of tea and double chocolate chip muffin later...well it is my birthday!! Hmm, I don't like doing men's cards either... they never flow as easily. Enjoy the sun, it may only last a couple of days! Hi Julia - just popped in to say I'm afraid I'm too busy this week to join in - got the craft show on Saturday and I've still got a lot to prepare. Wanted to wish everyone a happy WOYWW and hope to catch up with you all next week! Thanks for everyone's understanding last week when I couldn't see any of my comments for a few days. All is now well. Great shot of your desk. I'm so glald you are getting some much needed sunshine! Here in the Southern portion of the States, the sun is broiling. We are in the 90's and steamy! Oh how I wish I could visit the UK! It's always been a dream of mine! How right you are, Julia. We are so lucky to live in a beautiful country which looks stunning in the sunshine. Just a pity it rains so much!! I shall be making the most of it today!! I hope your head starts to co operate soon, it's so frustrating when things just don't work isn't it. I'd take a glass of something cool outside and when you come back it'll all flow I'm sure. Oh I hate when what in my head and what's on the desk don't want to match up! Funny how it never turns out on paper the same as what's in your head! Maybe a rather good idea in my case lol!!! Take care and thanks for sharing your fab creative space. Morning Julia. 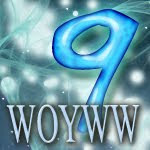 Thanks again for the fab WOYWW Badge. The card I can see looks fab just needs a sentiment and maybe a ribbon, what about making a faux watch strap to go across the card? I am just off to get that mosquito that has dared to fly in before he bites me! Anyone would think it was Summer out there! Yes! Sunshine! I have actually posted TWICE today (almost unheard of! ), because the sunshine was soooo lovely, that I took the camera into the garden. So, today's WOYWW is also accompanied by a Midsummer Morning post! But your desk, Julia, looks amazingly busy! Wow, what a lot going on. Looks as if you have been having a lovely time. I do like that "clock" stamp.. I may have to get one of my own! It's always so strange to me how long the sun stays out during the summer. A good thing, mind you, but strange. A men's card workshop, sounds interesting. Could go a couple of ways with that one :) Hope your head becomes less wooden. Ha! Hi Julia! Thank you for visiting my desk last week. It's a real treat when you stop by. I can totally relate to the creative procrastination that occurs during projects. I am in one right now but hoping today's visit to desks will give me the push I need to jump in. When you get those men's cards flushed out, let me know because I need to start creating more masculine cards and woodgrain was what I used on my father's day cards for my shop. But I'm thinking I need other options. Have a great day. It's really hot here in Massachusetts today. Beginning of extreme heat - upper 90s. More like extreme bad hair day! If you have time, pop on over to my desk. Mens cards are so pesky, but let's face it, men are just plain pesky! You'll get there though. 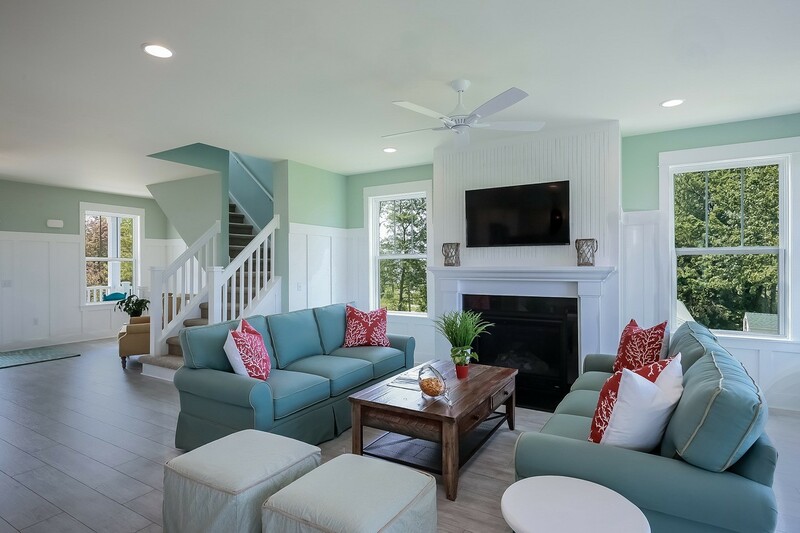 I don't like the ac on much either, and it's very expensive to run so we're economical with it, but I really prefer fresh air, so if it isn't too hot or humid we just have the windows open and the ceiling fans on, much better for you I think. Unfortunately when it's this hot you can't really do anything with it, you have to stay indoors. SO last night it was an episode of Midsomer Murders in the cool! LOL! You are too hard on yourself! Your desk looks like a fabulous place of streaming creativity! Art is always in progress in one way or another!!!! Will show knickers for WHAT?! Good morning Julia. I'm happy for your sunshine! Today is Summer Solstice and the longest day with sunshine (although I suspect it might be only seconds longer than yesterday). We lived in Ohio for a few years where twilight occurred around 10pm at midsummer. It was fantastic! Boy is your desk busy! Almost no room to work... a sign of a creative mind. Your workshop sounds like fun, too! Men'S cards? Always makes me shudder! I always dread having to make them but always do in the end. Loving the sunshine down here too, although it'll be gone tomorrow! A sunny England cannot be beaten by any tropical clime but we do have to enjoy it day by day without a chance to rely on the next day being as good. So many WOYWWers have lost their mojo this week.... I think your's will come with the most suitable weather! Rain stops outside play but starts crafting time. Hi to all WOYWW ers. This is my first attempt at joining in with this great crafting community, so I hope it worked!!! I'm looking forward to poking around lots of desk and getting lots of inspiration! Have a wonderful crafty week everybody! Julie a big thanks to you and everyone for comments on my blog last week. It really helped easy the pain of Spunky's passing. The sun has been lovely here too. Lots to see on your desk Julia but I think you need to be out soaking up the rays - afterall, its supposed to be downhill from tomorrow. Ah.... so she fancies herself a photographer now does she? I have some finished projects to show off today--just for you I left the photos of the unfinished ones off. However, nothing manly and none of it came from my brain. Not linking up this week (time ran away from me) but am still planning to visit some desks. Yours looks interesting -- and wow, the sun was shining through that lovely window! I'm sure the head and cards will match up soon - go and enjoy some sunshine while waiting for inspiration to strike. And mega well done for getting around all those desks!! Oh, we have sun here too, ooop north(!) and it was sports day at baby bugs school, think I should probably go and put the lottery on now! Ooooh, I like that pocketwatch stamp! Well, I didn't have much to show this week, so did the What's On Your Workdesk? Wednesday--Daughter Edition. It is lovely in England in the summer! The year I was in London and then went on to stay with a family in France it was very beautiful! I still look at the photos of me on the London Bridge, in front of the palace, etc. with amazement that I was there! Your desk is filled with potential again - I hope today you find a match between the cards and your vision! :<) Wishing you a nice day today! Happy woyww! Finally managed to link once I got home to a 'proper' computer lol! Good luck figuring out how to translate what you have in your head to card. That can be so challenging sometimes! Helooooooo .....should I hang my head in shame for not sharing since...what....February?? ?...or high five that I finally have?????? So, as you will see, I am in blissville and long may it stay that way!!! so happy to have my first WOYWW. and i love peeking at other people desks.. so much fun. Well, it has been awhile since I linked up here so I thought I would come visit! Happy Wednesday! Hello. No desk from me this week. I was in London on Monday and Tuesday and came home very late last night feeling too tired to even go in my room. It didn't look any different either as I was desperate to finish my bolero to wear on Monday! London was gorgeous bathed in sunshine and I even burnt the top of my back/neck!! When it is sunny in UK there is no need to go abroad! My workdesk is actually my easel this week. I hope it's OK. Blessings! Derp. Anyway, I made it before midnight this week. I love this look into other people's crafting spaces! 113 comments posted and I am 164 I think some forgot to tell you they have posted. I am so sorry my link is so late I have had issues with up linking all my fault due to work location. I have the post on my blog since yesterday. and have posted on your site now, so all good. Again sorry, I am off to blog hop. Julie i think you need to walk away from your desk...go and enjoy the sunshine....and when you get back you will sort out those cards with fresh ideas!! Sorry Jlia I have just seen you want short post....will do so next week! I was told that my link from #38 was going back to an old post, so I corrected it. I'm now at #165. So much for being early this week! Lol. I am so upset! I missed the party yesterday!! But I see I can still play, so I might put up a quick post. When the kids are off from school, it takes me a week or two to adjust. I keep thinking it's the weekend!! The sunshine didn't last but I made the most of it and hope you did too. Well,I am a day late, but I am here! I am so glad that it's not only me who envisions something, only to be very disappointed that it doesn't come out as planned! I wish you well. I know that you will eventually come up with what you wanted!!! Oh boy I wish it was sunny here. Today it's wet and dreary. Love your desk with lots of things happening on it - unlike mine lol.